Entrance B: It’s close to the metro (Iakhou street). 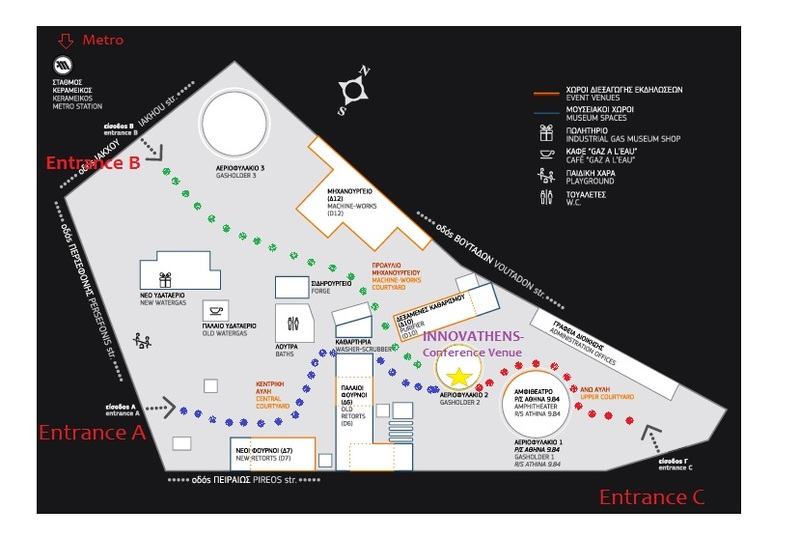 Follow the green dots to reach the INNOVATHENS Conference Venue (Gasholder 2) If this entrance is not open then you are advised to use Entrance A. Entrance C: It is located on Piraios 100 Street. 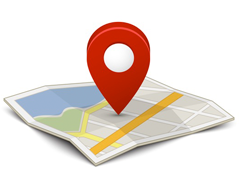 Follow the red dots to reach the INNOVATHENS Conference Venue (Gasholder 2). Use this entrance if you are coming by taxi. The conference venue is denoted with a yellow star.